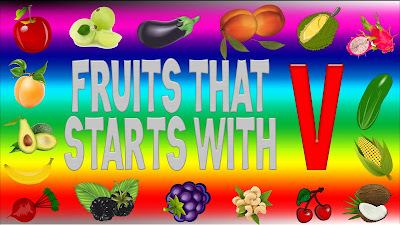 Fruits That Start With V - There is just a few fruits that start with V can we found right now, but even though we have all the fruits pictures with short descriptions for each fruit. 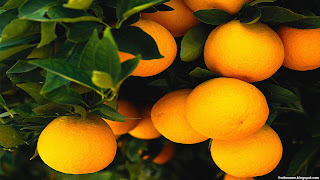 Valencia orange fruit is a hybrid fruit from sweet orange fruit with scientific name is Citrus x sinensis 'Valencia' by an American agronomist, William Wolfskill. In 1866, before William Wolfskill die, he sold his valencia orange hybrid patent to Irvine Ranch owner and then his company got very success with valencia orange juice as the most popular orange juice in USA. Valencia orange fruit are very sweet and contains less seed, sometimes even without seeds at all. Until now, valencia orange grown primarily for orange juice productions and just a little sold as fresh fruit. Valencia orange contains many vitamins and minerals such as vitamin A, vitamin B6, vitamin B12, vitamin C, vitamin D, calcium, calium, iron and magnesium. Vanilla fruit tree scientific name is Vanilla planifolia. The vanilla tree was first cultivated by the Mesoamerican Aztec community who called this plant the name "tlilxochitl". They use vanilla as a flavoring mixture in chocolate drink. Vanilla fruit is an elongated capsule that when ripe, will open the tip, dry, and remove a distinctive aroma. 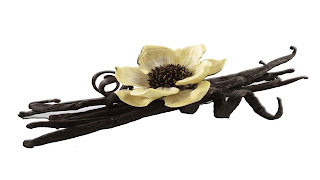 The word "vanilla" is derived from Spanish, "vaina" which means "pod", because the vanilla fruit shape is a pod. Vanilla is the most expensive spice in the world after saffron because vanilla requires a lot of manpower to obtain it. The process of vanilla planted pollination is done manually by the workers because these plants only flower for a day. In 2017, the top vanilla producing countries is Madagascar (48%), Indonesia (25.8%), Papua New Guinea (6.5%), Mexico (5.4%) and China (3.6%). 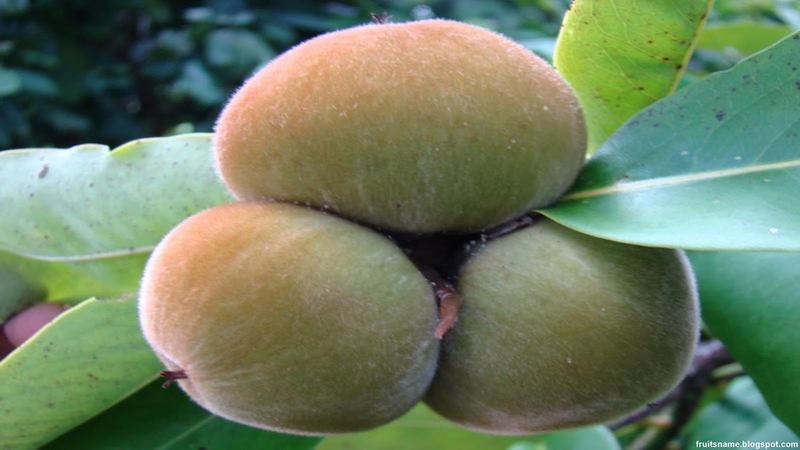 Velvet apple fruit tree scientific name is Diospyros blancoi. Velvet apple fruit tree is an exotic tropical fruit tree native to Philippine. 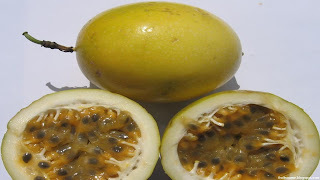 In the Philippine velvet apple tree found wild life in primary and secondary forests and also cultivated in the yard. In Philippine this tree is protected by law, it is illegal to export velvet apple timber from the country without special permission from the Bureau of Forestry. Velvet apple fruit has a skin covered in a fine, velvety fur which is usually reddish-brown, and soft, creamy, pink flesh, with a taste and aroma comparable to fruit cream cheese. Right now we can also found velvet apple in other tropical country like Indonesia, India, Malaysia and Srilanka with different name. 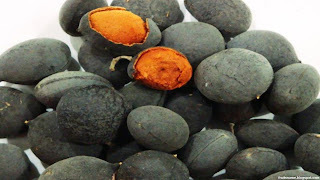 Another name of velvet apple are : peach bloom, velvet persimmon, mabolo, mabola, sagalat, bisbul, kamagong, and talang.